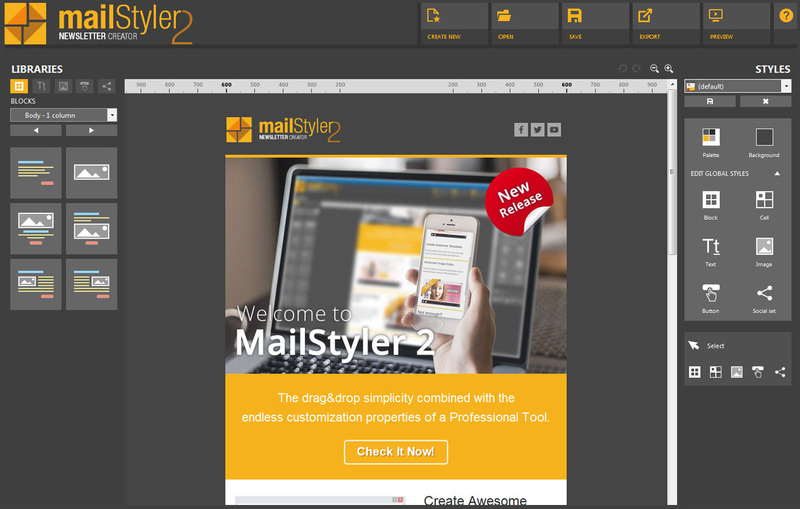 The most effective template editor for emails, and the only software that generates HTML responsive newsletters for a perfect rendering of all mail clients. 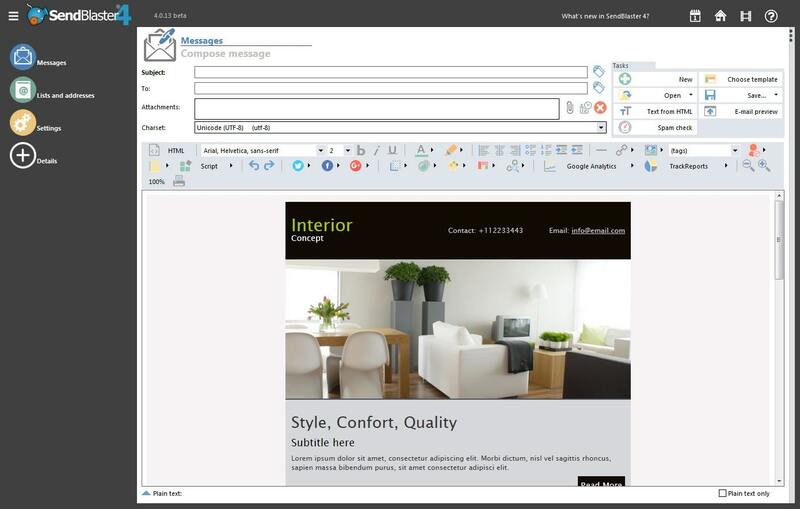 Coupled with SendBlaster, it ensures the best design for your emails with a few clicks. Watch the video tutorial. If you tried the free bulk mail software download and you need more powerful features, you can buy the professional version.